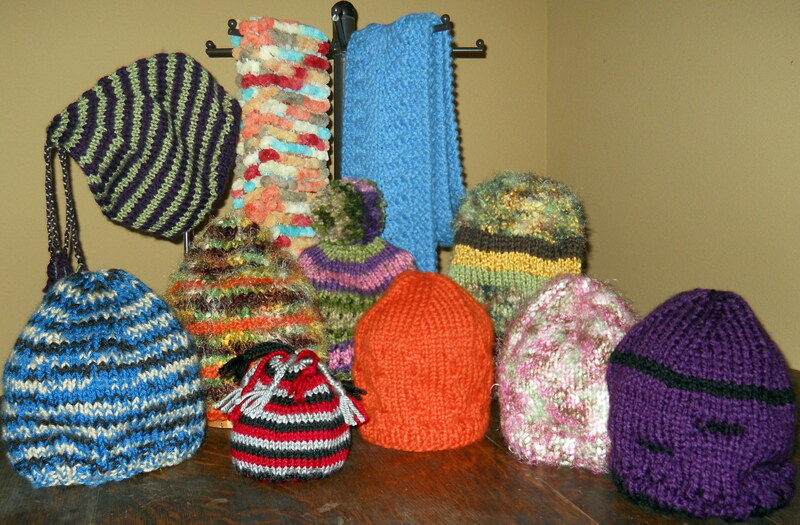 For the same reasons, this is also a wonderful project for beginning knitters and those new to hat knitting patterns. 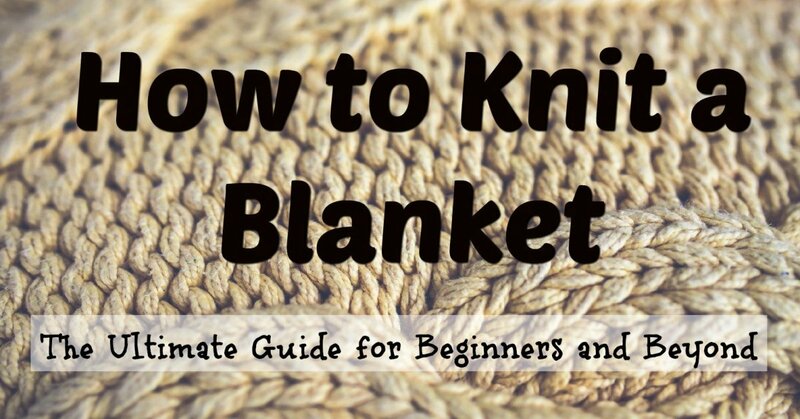 It uses simple stitches and requires some basic skills like decreasing and sewing seams, and it can be completed in a short enough time that a new knitter doesn't get bored or discouraged. If you have never knitted before, some of these instructions will sound like gibberish. 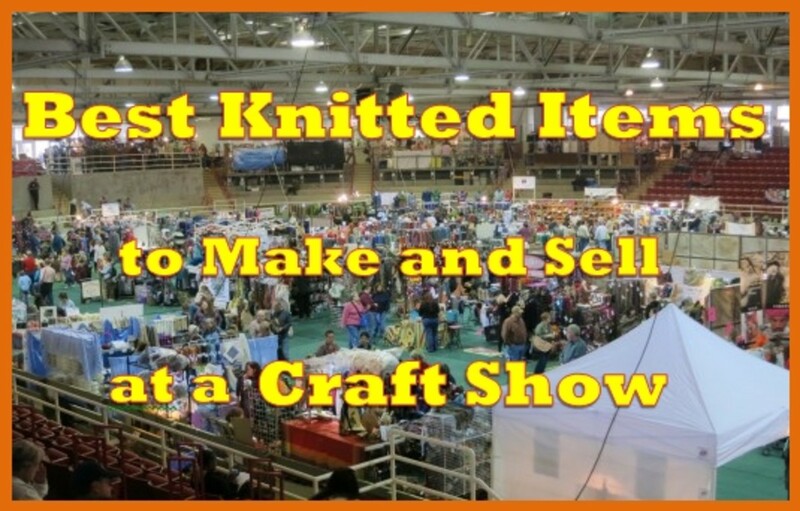 Watch the videos below the directions to learn how to cast, knit, and purl. 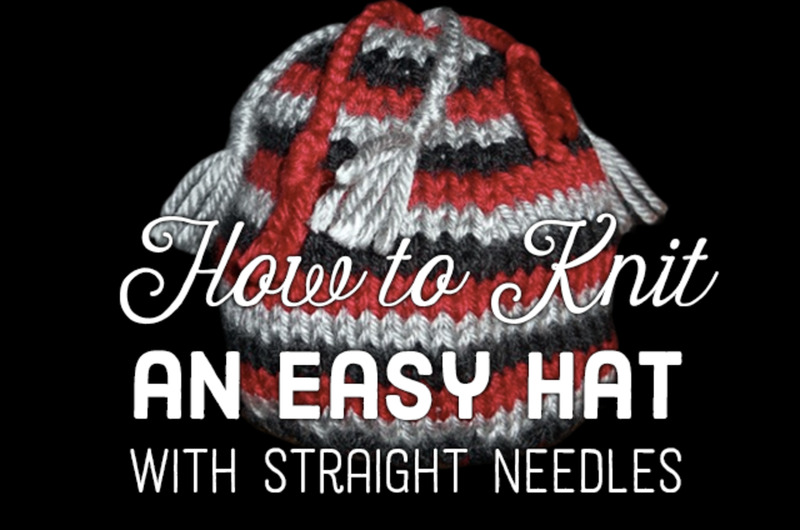 Switch to a stockinette stitch (or any stitch you like) and work back and forth until the hat measures 5 inches long. There should be 12 stitches left on your needle. 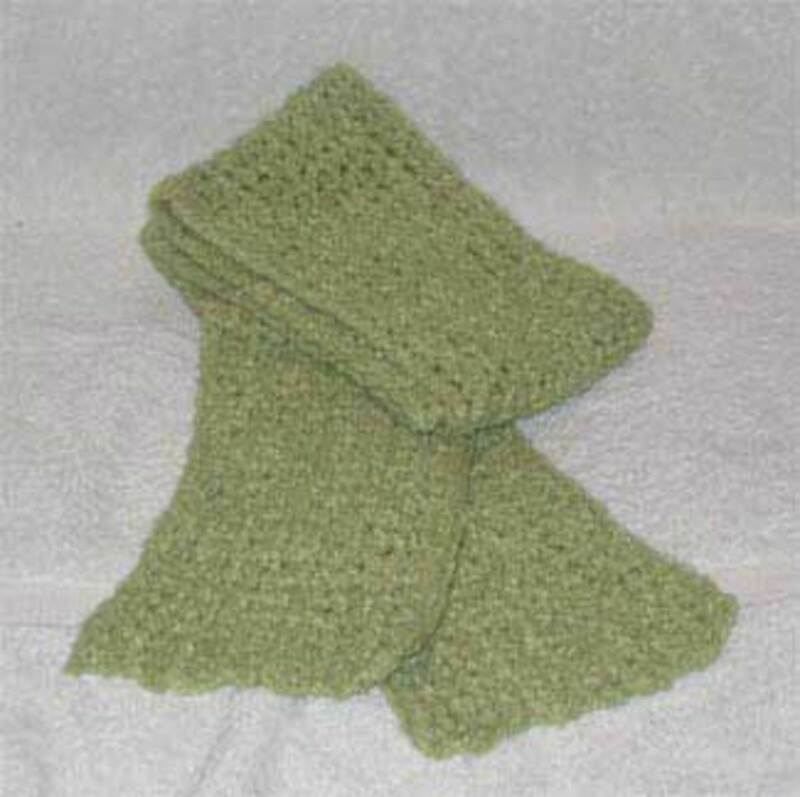 Do not bind off, but close the top instead, then sew up the back seam. Attach a pom if you like. 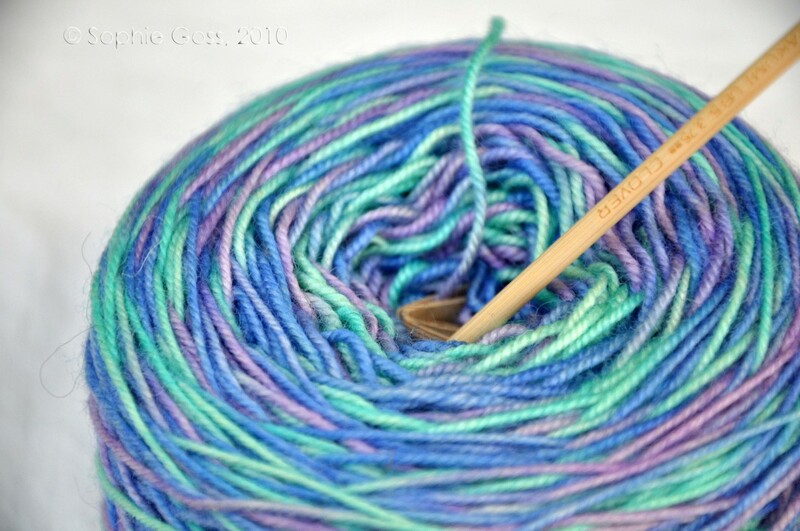 I've had several people ask in the comments section what I mean by "close up the top" rather than bind off. I think my response is often overlooked so I'll add it here. After I've completed the last decrease row, I cut my yarn, leaving about a 10-inch tail. I then thread the tail with a large tapestry needle and go back to the beginning of the row. Beginning with the stitch farthest from the tip of the knitting needle, I thread the tail back through the remaining stitches, creating a loop. I then pull the work off of the knitting needle and pull the tail tight. This creates a circular closure that is easy to attach poms or other ornaments to. 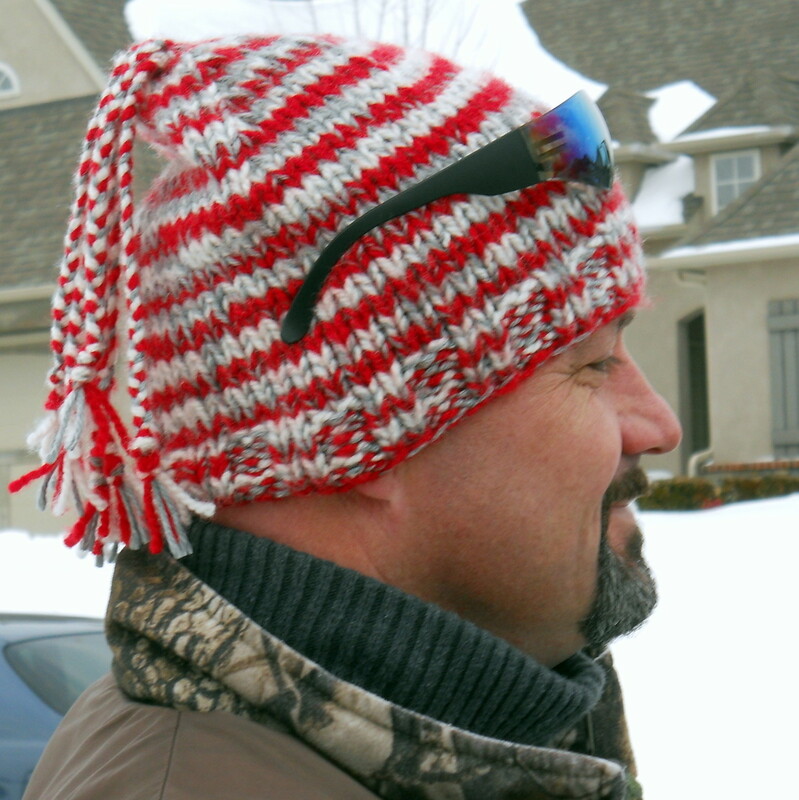 I normally adjust the size of this had simply by changing needle size or yarn weight—smaller needles and yarn for children or infant hats, bigger for people with large heads—and it works very well. However, should you need to adjust your hat by a number of stitches, you can do so in increments of ten. Just remember that for every ten stitches you add, you'll have to add one decrease row and for every ten you subtract, you'll have to subtract a decrease row. I also sometimes add some height to the pattern so that the hat breaks over and hangs a little down the back like the one in the photo below. This is done by inserting an additional k row and an additional p row after decrease rows 5, 9, and 13. A variation with stripes and some braids instead of a pom. K1P1 Means "Knit 1, Purl 1"
"k2tog" Means "Knit Two Together"
Needle size is very misleading.Just finished it and could see as I was making it that it was too small.Lucky if it will fit a baby. On row two of the pattern after the first lot of decreasing do I purl the whole row ? 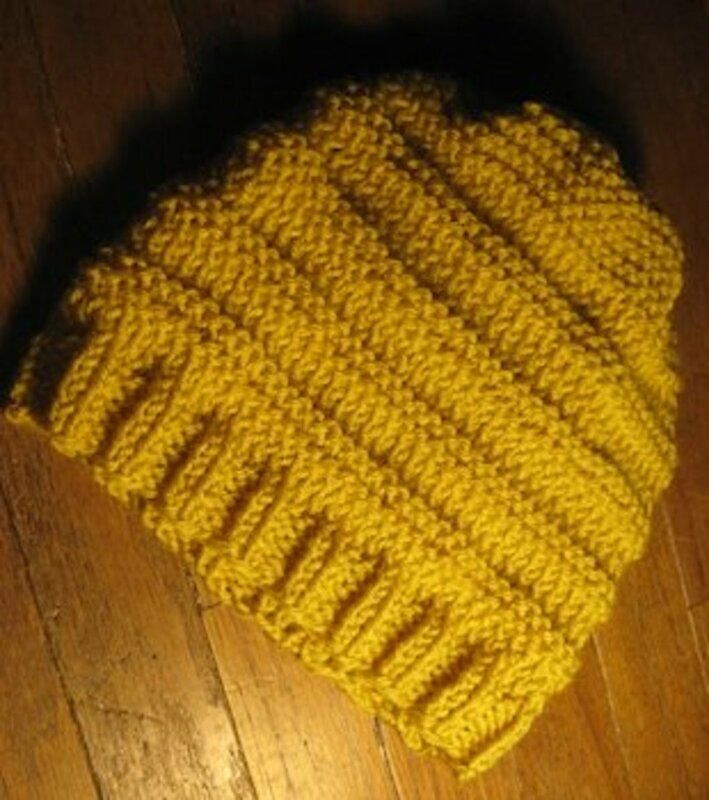 I have just completed my first beanie hat!! Great pattern .... thank you so much. Must try to reduce the size now as I want to make one for a child. This is an amazing article and works really well! Thank you for these very easy to follow instructions. My grandson is visiting for a week and he asked if I could knit him a beanie while he was here. I was so happy to find your instructions. You are an excellent tutor. So i couldn't continue decreasing or i would have ended up with like 2 stiches, as someone else mentioned they had.. can you add a video or pictures to make it easier to understand? I used this pattern to make a hat my size (but with what I think is the tubular cast on since I wanted to see if it works) and needed to add more cast in stitches so it would be big enough around. But how do I add a decrease row when I get to that part? Exacty what I was thinking all the way through my knitting - that I had misunderstood the needle size. Indeed it should be 9mm needles. I had size 8mm and it turned out exactly my size. Otherwise, well written and I needed just a couple of hours to complete it. Thanks a lot for the pattern. I think the needle size should have read 9mm needles, as using UK 9 needles would not give the size of the stitches shown in the picture of the striped hat! Thank you, thank you, thank you for the easiest and quickest hat EVER! it would be helpful if you edited and tell us lets say how many stiches for women or men or children...i have spent nitting this for a day already and im praying that it fits me..
and easy to understand. Thank you. I am using yarn that is significantly smaller then the last yarn I used for a hat. I have seen that to get an accurate number of cast on stitches you need to multiply the number of stitches per inch by the circumference of your head. Have you ever used this way? And if so did it work for you? Just finished my first one of these and I gotta say, I love how easy and fast it is! Thank you for sharing it! I must have a really huge head though, because the completed hat fits me like a yarmulke. Also, I must have done something really wrong when doing the decreases because I wasn't able to do all the decrease rows - contributing, I'd bet, to the yarmulke effect. I will happily try this again, though! would I need to cast on? How many should you cast on for a child's hat -- like for a toddler or 5-yr-old? Thank you so much for this pattern! I'm really excited about it! THANK YOU!! I made a beanie for my 3 month old son and it came out great. I'm ready to attempt in the round now! I love this pattern it is the best! Thanks so much for this pattern! I love it! It makes great hats my for kids! Im knitting this hat with 60 stitches on size 9 US needles, and I'm afraid it looks too small, like it would barely fit an infant. This is my first time knitting a hat and I don't know if it's just my imagination or if its going to end up looking better at the end. In the red and white striped hat picture was that 60 stitches only? I like this pattern but what is the tension (gauge)? Surely different patterns and wools need different tension, to provide the same size? 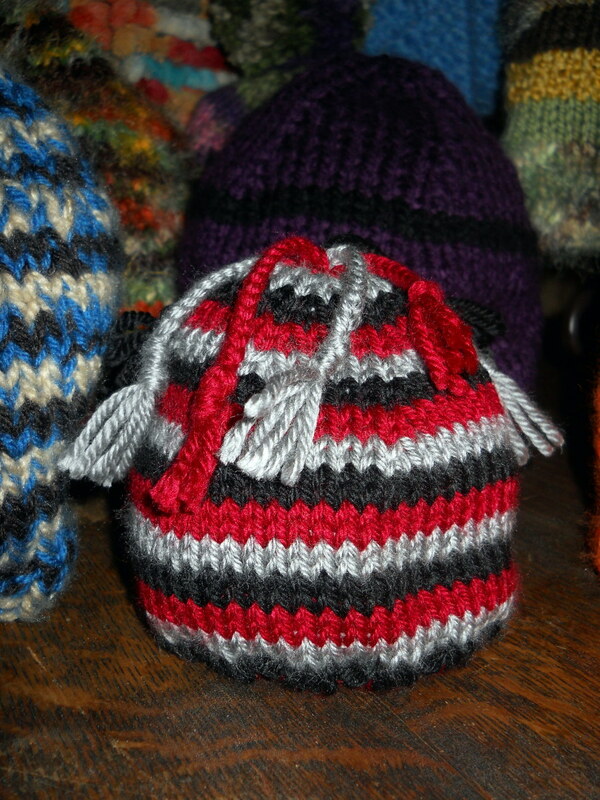 I wouldn't use any needle larger than a size 9 for the adult version of the hat, but I've used needles several sizes smaller for child sized hats. can you use any size needles to make this hat? Isnt is bigger the needle the thicker the hat, or more bulkie look? Add Your Comment.. how many stitches would I need to start a young youth hat? I already made a adult hat can I do the same stitches for the youth hat? What happens when there isnt any stitches left after u do row 15 k1 k2 2gether completely across there is no stitches or do u mean after u do the last row there is 12 stitches left? Never made a hat b 4. This is awesome! I hate circularn needlesa and double point needless scare me! Lol great pattern and easy to read! This is similar to a "flat hat" pattern that I do. I never would have thought to put the braided tassels on. I like that! 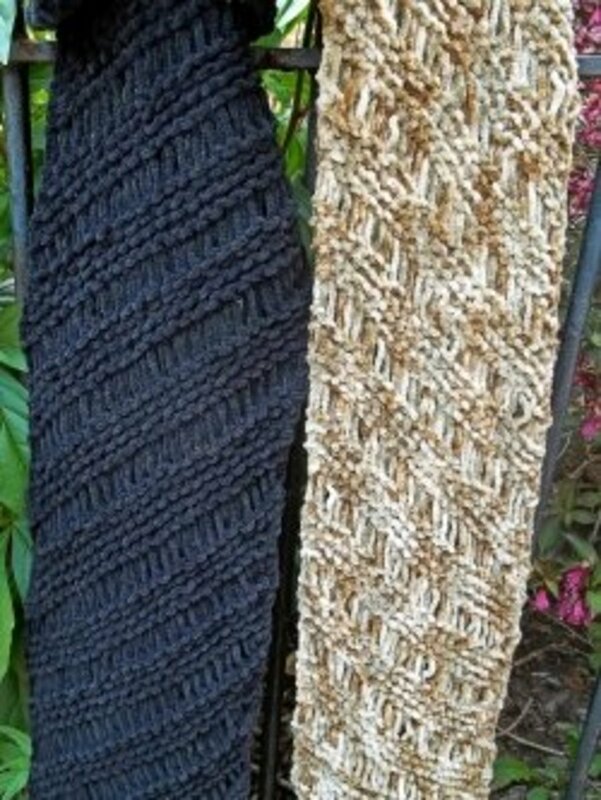 If I use size 10 straight needles using worsted weight yarn , and cast on 60 stitches would that fit a head size of 21-22 inch? If I wanted to make the hat longer ( hopefully I understanding this right) I would on decrease Row 5- k6 then k2 tog repeat across row - next row a knit row, then next row a purl , then next row another purl THEN Row 7? Then the same on row 9 and 13. Also , how did you make those braids? Great wonderful hat ! I would like to make it for my great nephew!! Thank- you for your help!! -also, can you knit mittens using 2 straight needles? If so, do you have a pattern for that too? For your first decrease row, you will knit 8 stitches and then knit the next 2 stitches together...then you will knit 8 more stitches then knit 2 more together. 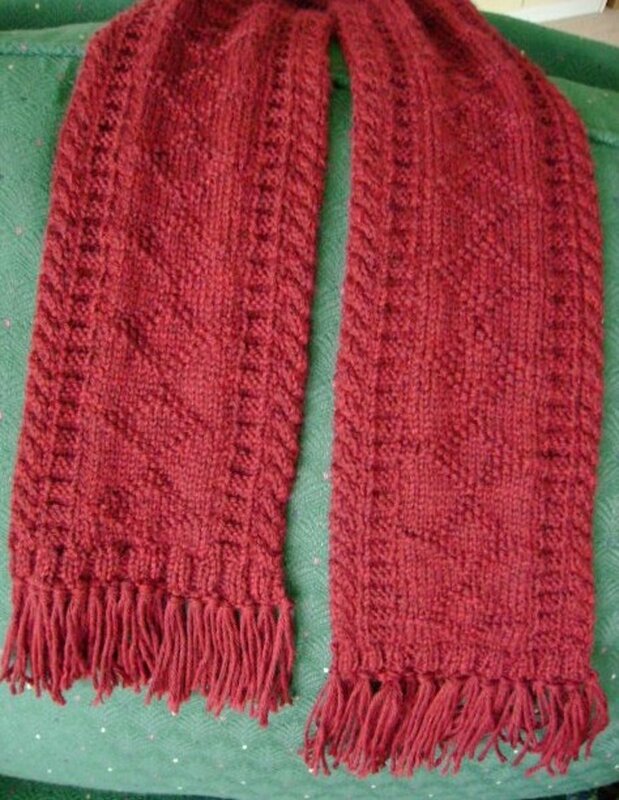 Continue to knit 8 and then 2 together all of the way across that first decrease row. When you get to your next decrease row you will knit the first 7 stitches then knit the next 2 stitches together-then repeat 7/2 all of the way across that row. When you have completed your last decrease row, since you started with 80 stitches, you should have 14 stitches left on your needle. Since this is your first project, I would recommend that you abandon the k1p1 pattern that you used for the lower body of the hat and continue the rest of the hat in a basic stockinette stitch,(knit the right side rows and purl the wrong side rows) keeping in mind that the decrease rows are on the right side...so you would do a decrease row then purl the next row and so on. Sherry, if you double the worsted weight yarn, 60 stitches should be fine. I often double the weight and stay with that number. Though I still have a query. I cast on 80 stiches. I did the border k2p2. Rest I'm doing in k1p1. And I've stiched it to 5 inches. Now, in my first decreasing row, I'll do k8p8, and then knit k9p9tog? I'm sorry I'm lost at the decreasing pattern. Kindly do guide me. This is my first knitting experience so I'm a bit slow. Also, your's is the only procedure I actually liked. Grateful! 60 stitches for 12-13 yr old child? Is the worsted wt doubled? I think this hat is so cute & I like you like to knit & get it done & pass it out. That is correct. Knit the first 8 then knit numbers 9 and 10 together. Can you kindly elborate on (k8, k2tog)? I mean, when I start the firt decreasing row, I knit 8 ks normally, and then the 9th and 10th together? If you add more stitches, the decrease rows remain the same, starting as you normally would with k8 k2tog. When you reach the end of the pattern, you will have 14 rather than 12 stitches left on your needle. I am going to try this. But I have a question. 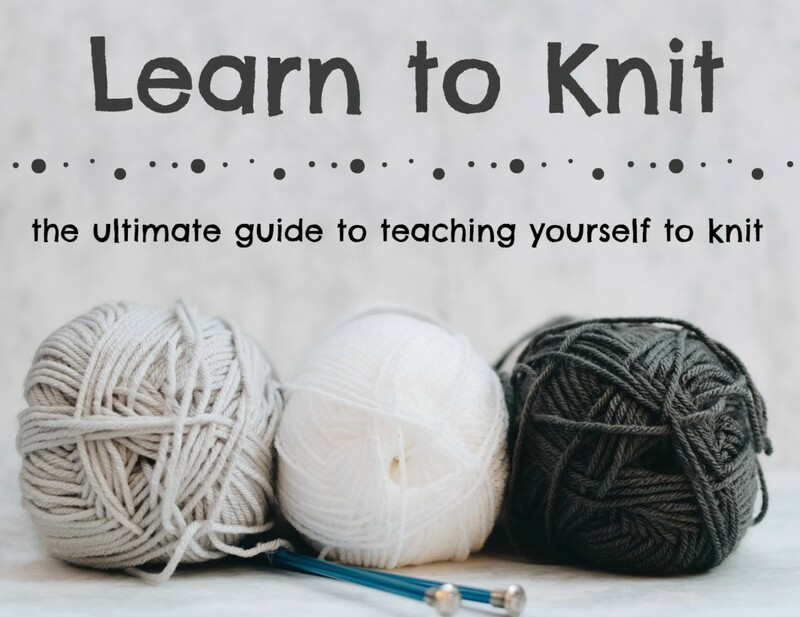 Why don't you bind off then seam together? I don't understand 'closing off the top'. Can you please be a bit more specific and simpler when explaining this ? I read the other comments and still dont know what it means. How do you close the top? No, I'm sorry. I haven't done a video. is there any video we can watch? No, you repeat (k8,k2 tog) across the row. when you say to knit together across does that mean knit 8 then knit the rest of it by two's? Thanks a lot for this! I am rather new to knitting, so watching things come along is rather exciting! I cast on 60 stitches, and hope the hat is big enough! You repeat (k8, k2tog) across the row. so for the decreasing, is it k8 k2tog k8 k2tog across? or just k8 then k2tog the rest of the row? I usually close the top by drawing the end of the yarn around and back through the stitches that remain on the needle, then pulling it tight. This makes a small circular closure that is easy to attach poms or other ornaments to. Awesome! Thank you, I hate using circular needles! !